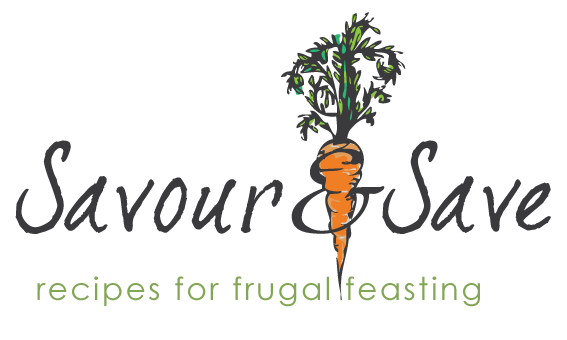 Ever wonder what you can make for tea or dessert, when friends are coming over and you do not have a single thing in the fridge? Since being in South Africa, I have discovered a number of Afrikaner delicacies that take advantage of the few basic items one would be sure to find in the pantry or the fridge. The Afrikaner culture is one based on European traditions with a bit more grit since they were the European pioneers who created a new life for themselves and their families in South Africa. Living on large holdings, with no supermarkets close at hand, farmers’ wives had to make due with the basic necessities. 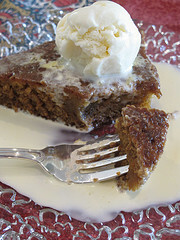 The melktert (milk tart in English) is a simple dessert that recalls memories of siting by the hearth, in front of a roaring fire, enjoying a hot steaming cup of Rooibos tea and a slice of Ouma’s silky smooth tart. 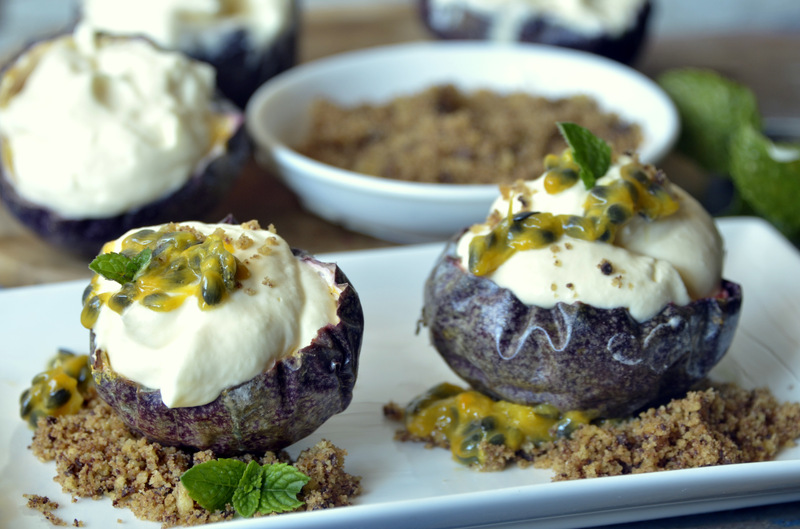 Though this is not one of my Ouma’s(grandmother) recipes , I did get it from a reliable source, who was overjoyed to share her family recipe with me. 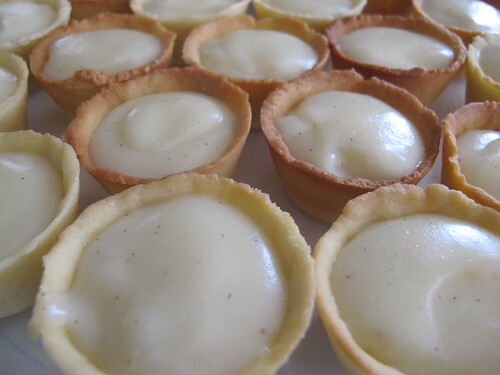 Since I have been embracing the concept of tapas these days, I converted my original melktart recipe into individual mini tarts that are so easy to pop into your mouth. No forks or spoons needed! 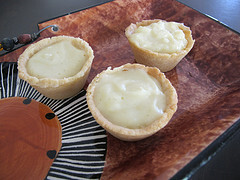 to form mini pie shells. Bring milk, butter, vanilla pod(scraped) and cinnamon stick to a boil. Cream sugar, eggs, corn starch and flour together. 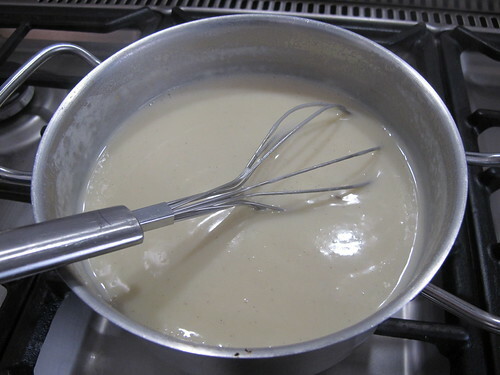 Add some of the infused milk to the flour mixture and stir to remove all lumps. Add flour mixture to milk in pot. Heat gently as you stir. 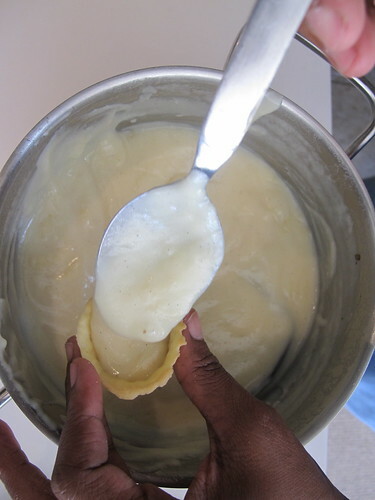 Once the mixture begins to thicken, remove from heat and pour into prepared pie shells. 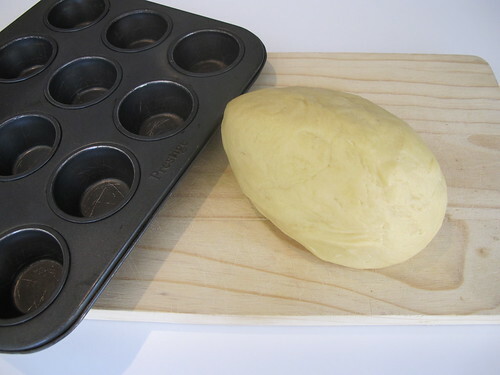 Mix together the crust ingredients and roll into a tight ball. 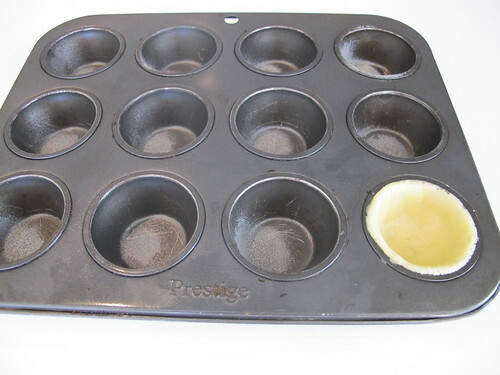 Divide dough into individual balls and press into a well greased mini muffin tin. Cook ingredients together to create the melktert filing. Be sure to infuse the mixture with a cinnamon stick. Once cooled, serve with a steaming cup of hot tea or coffee. Sprinkle additional cinnamon on the tarts if you are inspired and like cinnamon. 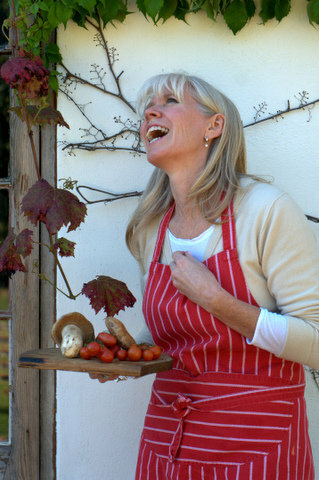 When I first examined the ingredients for these treats, I felt uninspired but that attitude has now been shelved as I often make these tarts for my visiting friends from Europe and North America. 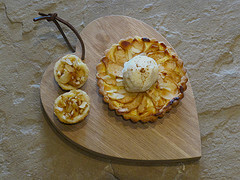 I have yet to hear anything but contented sighs as another tart is popped into waiting mouths. What do you think? Nice blog. Since you are in South Africa, you should should know that the “afrikaan” you mention, does not exist as a word. If you want to write about South African culture, please try harder and get the terminology right. “afrikaan” in this context should be changed to “afrikaner” since it is considered quite derogatory to incorrectly reference an entire population when one is informing the world about their traditions. Thank you Johan for letting me know about this oversite. Greatly appreciated. I will make the necessary changes.